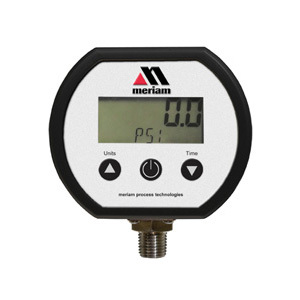 Meriam’s M2004 Digital Calibrator is a portable pressure instrument that offers flexible features to help meet the demand of your everyday pressure measurement needs. 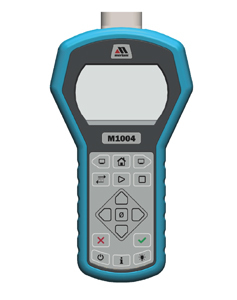 The M2004 features NIST traceable accuracy ± 0.025 % of a Full-Scale standard on each device. Pressure sensors both non-isolated and isolated (316SS) measure absolute, differential, compound. A significant benefit of the M2004 is its ability to measure a second pressure range with the addition of a Meriam Tethered Sensor (MTS). Choose from any available pressure sensor type and range and connect your accessory MTS via a locking tether cable. See our attached data sheet for available pressure ranges. 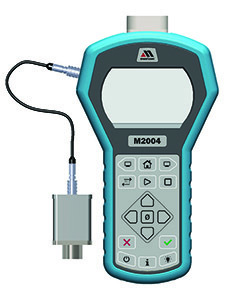 With an easy to use and intuitive interface, the M2004 offers fast and simple operation. Mobile data logging allows for computer-free use when measuring out in the field. Add Data Log Pro to expand on the M2004 data logging capabilities. Data Log Pro adds the ability to store up to 128 log files or 100,000 data points while also giving you the ability to modify data log options and settings. Mobile Data Logging and computer configuration, calibration and a data logging application. No computer required while taking measurements.